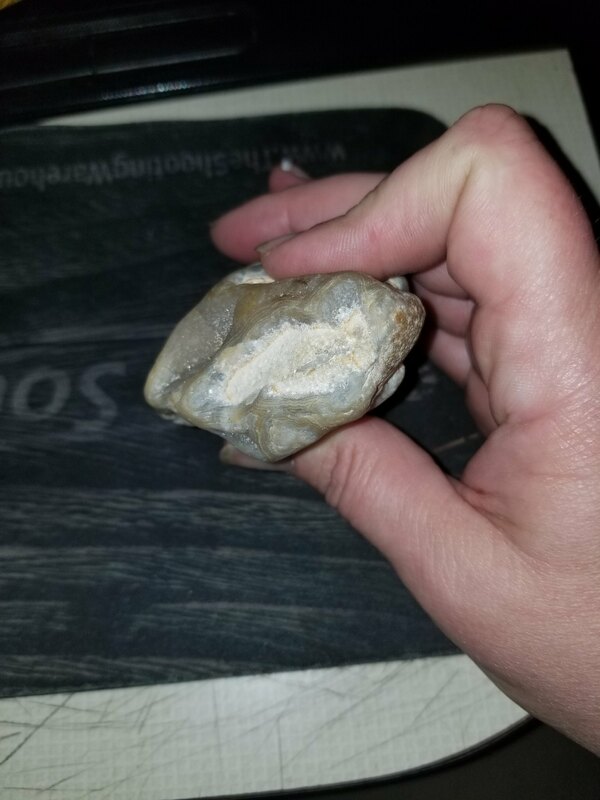 You are here » Top: Forums: General Discussion: Help identifying a rock ? 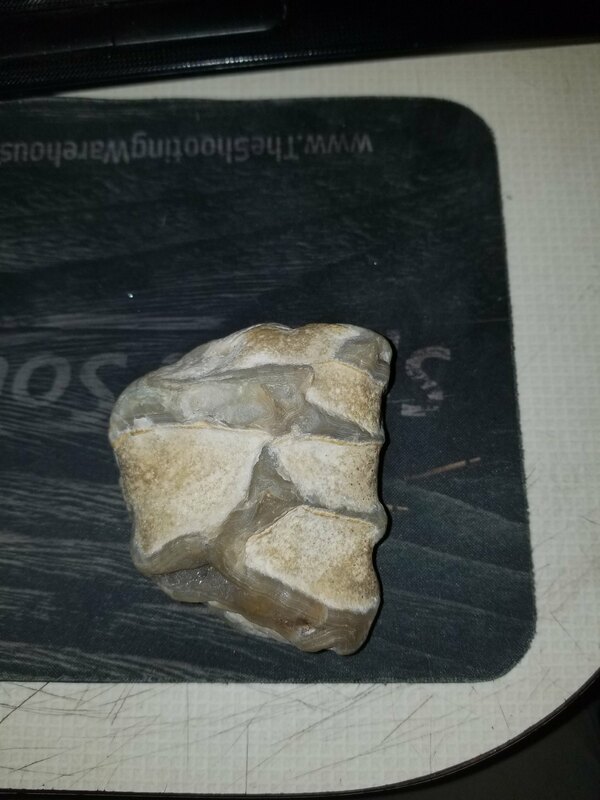 Help identifying a rock ? Hello! 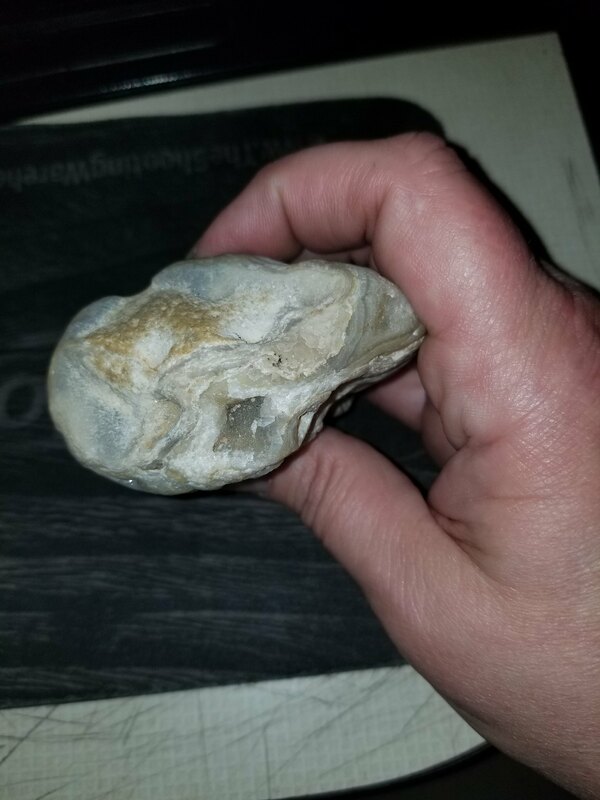 I am hoping someone here can help me identify a rock? that I have. It belongs to a friend who believes it to be agate. To me, it looks like someone had playdough and crumpled it up in their hand and left it to get hard. It has the perfect shape and placement of where fingers would be around it. I'm going to attempt to post a few pictures and I appreciate any opinions or suggestions on where else to look. 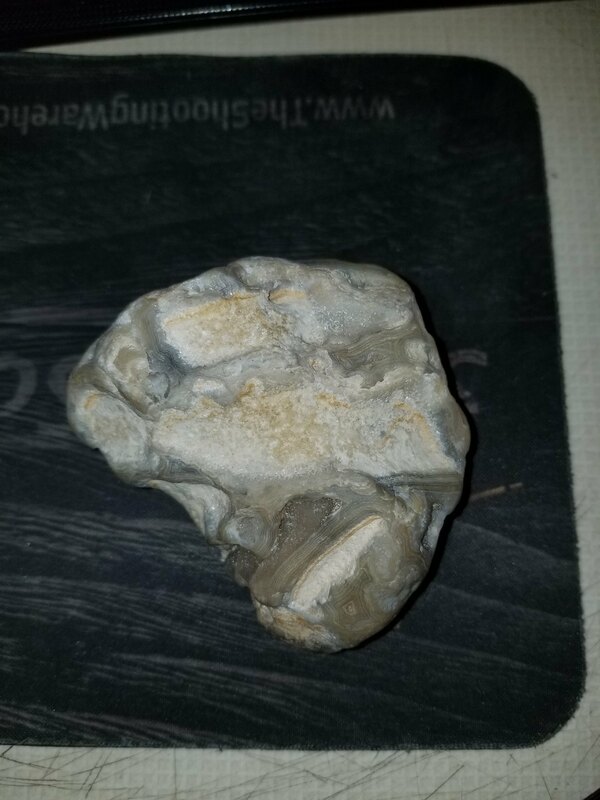 Looks like a chunk of chalcedony to me. Custer Rod and Gun Club Action Pistol NEWS!